The Toy Barn is thrilled to offer this recent trade in here at our facility and latest addition to the Corvette stable, this genuine 35th Anniversary Corvette #845 of only 2050 built in 1988. This car has only 51k miles, and it runs, drives, sounds, and looks great. 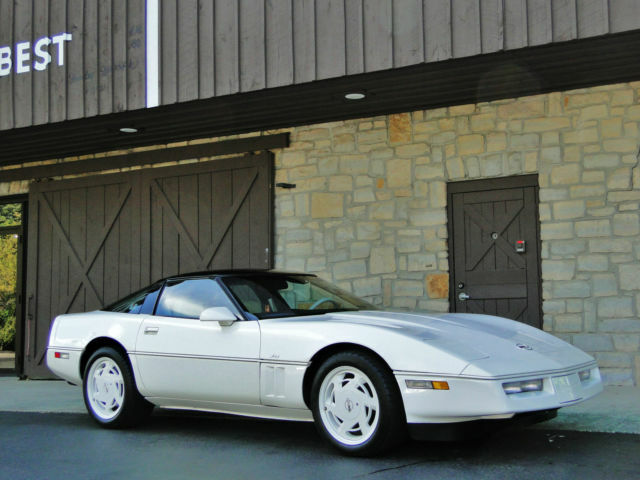 The 35th Anniversary Corvette was a numbered car, offered in triple white, and it had it's own special badges, a 245 horsepower V8, and serious 80's-era aesthetic appeal. This is a great example of a great car, and it's ready for to be driven, collected, and enjoyed.